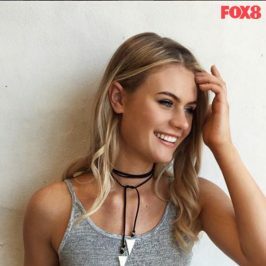 Models Announced as Australia’s Next Top Model returns to FOX8. 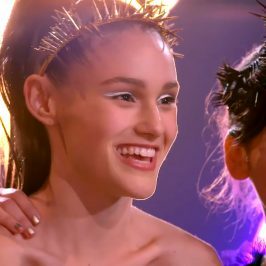 After an extensive nationwide audition tour across the country, thirteen hopeful young girls have been chosen to star in the tenth series of Foxtel’s landmark reality series, AUSTRALIA’S NEXT TOP MODEL. Hosted by Jennifer Hawkins, the series which continues to grow in popularity, and create media headlines around the country, will return Tuesday September 20 at 7.30pm (ESDT) only on FOX8. The new season will mark the return of fashion superstar Megan Gale to Foxtel screens in her new role as full time judge, alongside stunning host Jennifer Hawkins, and the much loved and ten series veteran, acclaimed designer Alex Perry. To celebrate the milestone tenth season, iconic Australian Supermodels Elle Macpherson, Gemma Ward and Miranda Kerr have all been enlisted to guest star throughout the series. Together, they will share decades of wisdom and experience with hands- on coaching, through the toughest photo-shoots in the shows ten year history. Joining them, to acknowledge the show’s influence in creating their incredibly successful careers, will be some of Australia’s Next Top Model’s most popular and successful models from seasons past. 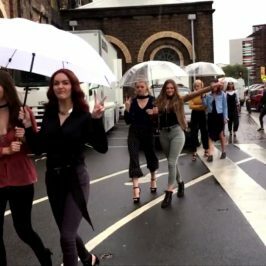 They include Montana Cox (Series 7), Simone Holtznagel (Series 7), Amanda Ware (Series 6), Cassie Van Den Dungen (Series 5) and a massive grand finale featuring over fourty returning contestants. Judge for all ten seasons, Alex Perry said: “Ten years is a lifetime in the modelling industry, so to have survived let alone thrived, is such an honour for Australia’s Next Top Model. It’s fantastic and a very proud moment to be celebrating ten seasons of such an iconic and landmark series. When we first started filming in the Foxtel studios in Sydney in 2004, none of us could ever have imagined the show would grow to launch so many modelling careers. “It’s been a thrill to have worked with hosts Erika Heynatz, Sarah Murdoch, Jodi Meares, Jennifer Hawkins and of course our dear, irreplaceable Charlotte Dawson, to whom so much of the of the show’s success is attributed to. Over the years we’ve shared plenty of laughter, tears, outrageous moments and a love of producing great fashion imagery. To ensure the contestants are fully prepared and camera ready for the judges each week, two of the world’s hottest male models, Australian twins Jordan and Zac Stenmark, will work beside returning mentor Cheyenne Tozzi – guiding them through the gruelling challenges, and transforming them into highly respected working models. 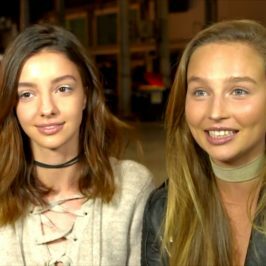 The winner of Australia’s Next Top Model will receive a 12 month modelling contract with Priscilla’s Model Management, and will feature in an editorial spread for leading fashion magazine, Elle Australia. They will also get $20,000 trip to New York during Fashion Week, and drive away in a stylish Mazda. AUSTRALIA’S NEXT TOP MODEL is produced by Shine Australia for FOXTEL, and is subscription television’s longest running local production.